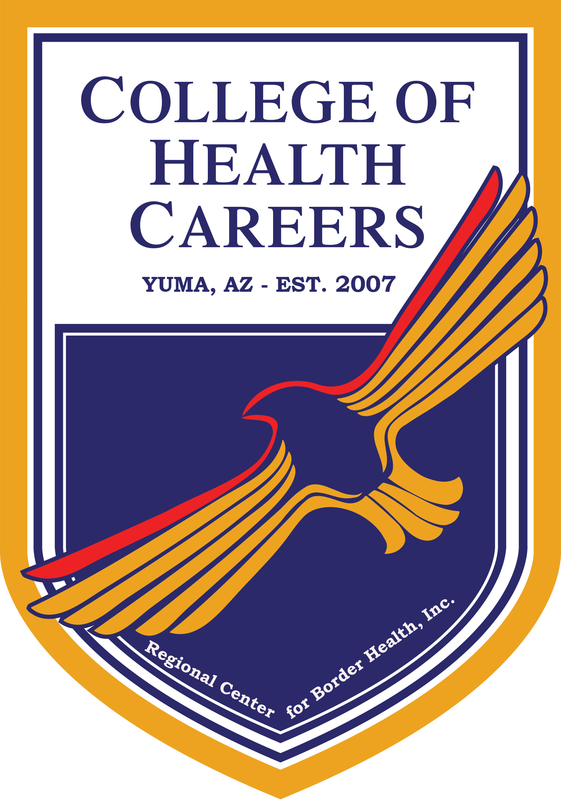 Programs College of Health Careers - Regional Center for Border Health, Inc. The Phlebotomy Technician Program offered by Regional Center for Border Health, Inc. /College of Health Careers prepares students for employment as a Phlebotomy Technician in the healthcare field. The training qualifies the student to take the National HealthCareer Association (NHA) Phlebotomy Technician Certification (CPT). The requirements consist of 30 clock hours of classroom lecture and 10 clock hours of clinical training in outpatient or inpatient facility. The Phlebotomy Technician works under the supervision of a license medical laboratory technician, physician, or other individual with an advanced degree in biomedical or related sciences. The Phlebotomy Technician primary function is to collect blood specimens from patients for the purpose of laboratory analysis. This program is licensed by the Arizona State Board for Private Postsecondary Education. All interested participants must submit a completed admission application. Successfully completed a health care education program or have one year of work experience within the field. This should include a minimum of 30 venipuncture and 10 capillary sticks. Candidate must be able to provide written proof of training or experience. Ability to fully participate in classroom, laboratory, or clinical setting program activity. Additional documentation may be requested to clarify or verify information provided by applicants for admission to Regional Center for Border Health, Inc./College of Health Careers Students will test for the National Health Career Association Phlebotomy Technician Certification. A total of 40 clock hours which includes 30 lecture and 10 externship hours. Students will be provided an overall orientation of Regional Center for Border Health, Inc./College of Health Careers and complete required student file forms. During this orientation, students will be provided a short overview of the course. Orientation to the computer lab and online medical library PubMed will be provided. Students learn the important aspect of patient care, interaction, professional conduct, and phlebotomy safety. Explains the procedure for primary collection and special collection. This includes: venipuncture and capillary collection. Explains the procedure of labeling all specimens, quality control for CLIA-waived procedure, transporting specimens, communication, explain specimen collection procedure to patients, and utilizing technology. Students learn infection control, HIPPA regulations, and using protective equipment. This includes safety in the laboratory, control, medical emergency and basic first aid. Students use hands-on work in a medical laboratory/clinic/hospital setting performing venipuncture and other specimen collection procedures. Students process and handle laboratory specimens.